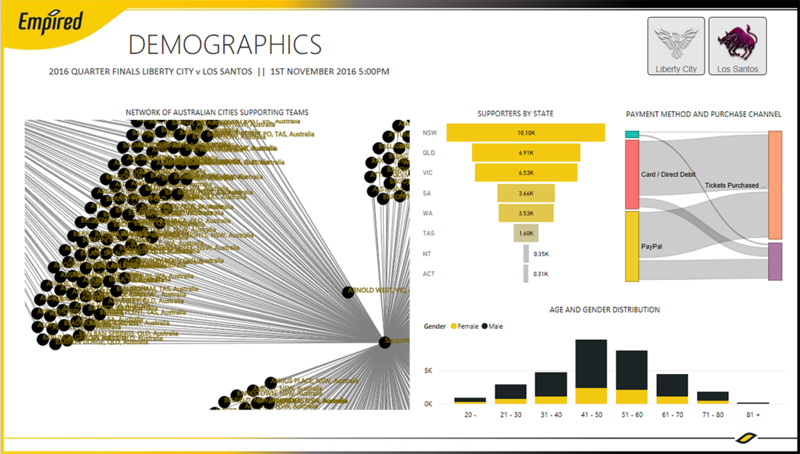 Understanding ticket sale trends and consumer demographics for an Australian peak sports administrative body using Power BI. Where and how many tickets have I sold and at what part of the stadium? Are sales growing or declining over time for any particular event? How many tickets do I have left to sell and before the game and where are those seats in the stadium? We’ve created a filter for ticket classes that helps assess ticket sales. This appears as the grey bars on the top left corner. 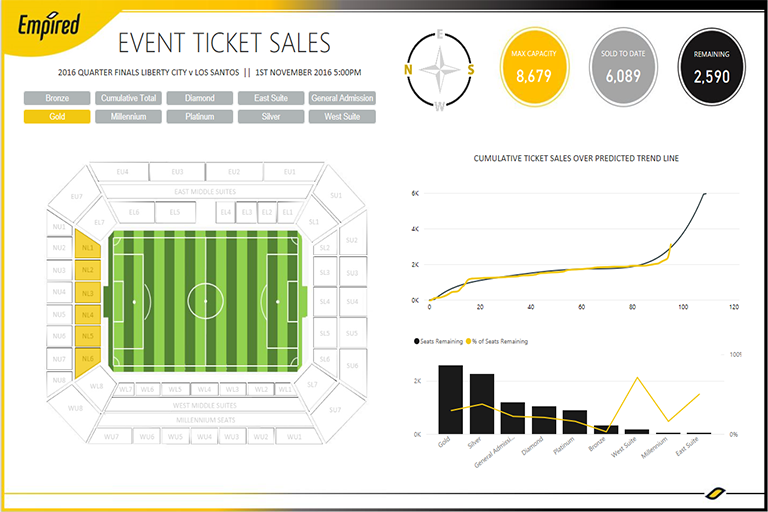 These filters dynamically change what is plotted on the stadium map and the number of tickets sold to date. The chart also provides a predictive trend line that dynamically highlights how ticket sales are progressing over time. The compass shows the sale of tickets in a particular position of the stadium. Selecting one of these directions also allocates on the dynamic charts ticket sales are progressing over time. The bar chart on the lower right corner shows the number of seats remaining to be sold by ticket class in order of highest to lowest. This chart provides a simple but powerful way to show the relationship between Australian cities and the team they support. 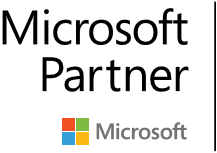 In this sample, we see a strong correlation between the two. In other words, if the consumer lives in NSW, they are more likely to support Liberty City than a consumer that lives in QLD. The left half of the demographics report displays a high level view of consumer demographics involved in the event to date. 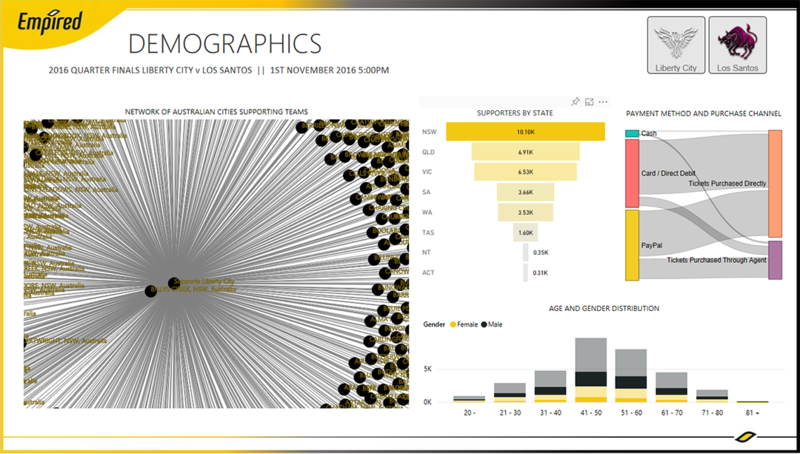 These visuals can dynamically drill down the entire report by selecting team, state, payment type, age bracket or gender.